Apple® unveiled an all new 15-inch MacBook® Pro featuring a stunning Retina™ display, all flash storage and quad-core processors in a radically thin and light design. Measuring a mere 0.71 inches and weighing only 4.46 pounds, the completely redesigned MacBook Pro sets a new standard in performance and portability for pro users. The new MacBook Pro Retina display is the world’s highest resolution notebook display with over 5 million pixels, 3 million more than an HD television. At 220 pixels-per-inch, the Retina display’s pixel density is so high the human eye cannot distinguish individual pixels from a normal viewing distance, so text and graphics look incredibly sharp. The Retina display uses IPS technology for a 178-degree wide viewing angle, and has 75 percent less reflection and 29 percent higher contrast than the previous generation. Featuring a precision engineered aluminum unibody design and an all flash storage architecture, the all new MacBook Pro is the lightest MacBook Pro ever and nearly as thin as a MacBook Air®. Flash storage that is up to four times faster than traditional notebook hard drives enables the all new MacBook Pro to play four simultaneous streams of uncompressed 1080p HD video from internal storage. * The flash storage architecture also delivers improved reliability, instant-on responsiveness and 30 days of standby time. The MacBook Pro with Retina display features the latest Intel Core i7 quad-core processors up to 2.7 GHz with Turbo Boost speeds up to 3.7 GHz, NVIDIA GeForce GT 650M discrete graphics, up to 16GB of faster 1600 MHz RAM and flash storage up to 768GB. Two Thunderbolt and two USB 3.0 ports allow pro users to connect to multiple displays and high performance devices, and a new HDMI port offers quick connectivity to HDTVs. The MacBook Pro battery delivers up to 7 hours of wireless productivity, and uses advanced chemistry and Adaptive Charging technology to provide up to 1,000 recharges. ** The MacBook Pro also features a FaceTime® HD camera, glass Multi-Touch™ trackpad, full-size backlit keyboard, dual microphones, enhanced speakers, 3-stream 802.11n Wi-Fi and a thinner MagSafe® 2 power port. OS X® Lion, iPhoto®, iMovie®, iTunes® and other Apple apps including Aperture® and Final Cut Pro® X have been updated to take full advantage of the new MacBook Pro with Retina display. The updated Aperture 3.3 also includes revolutionary new image adjustment features and now supports a unified photo library so photographers can move seamlessly between iPhoto and Aperture. The all new MacBook Pro ships with OS X Lion. Starting today, customers who purchase a Mac are eligible for a free copy of OS X Mountain Lion when it becomes available. Mountain Lion introduces innovative features including the all new Messages app, Notification Center, system-wide Sharing, AirPlay® Mirroring, Game Center and the enhanced security of Gatekeeper. With iCloud® built into the foundation of OS X, Mountain Lion makes it easier than ever to keep your content up to date across all your devices. 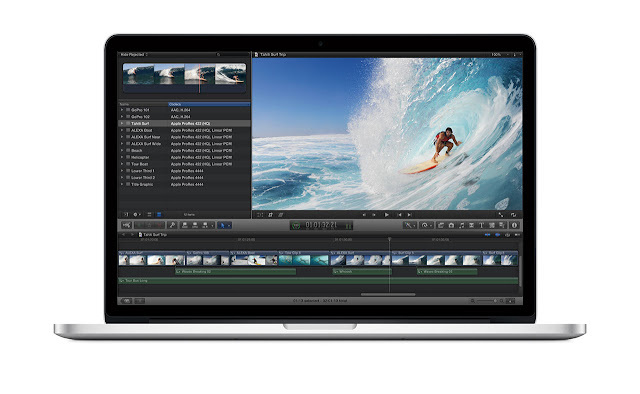 The 15-inch MacBook Pro with Retina display is available through the Apple Online Store (www.apple.com), Apple’s retail stores and Apple Authorized Resellers. 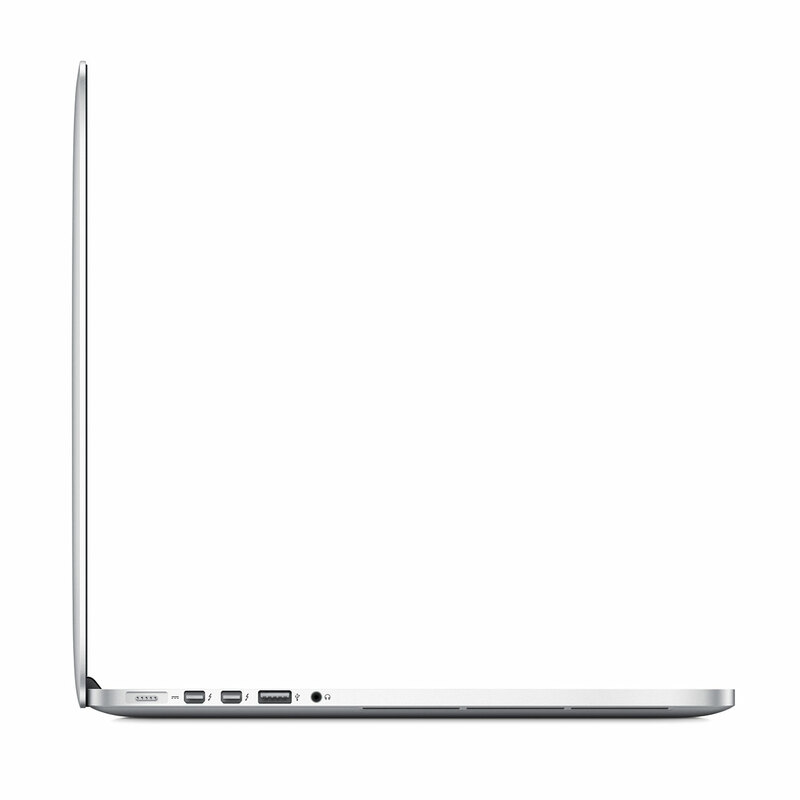 The 15-inch MacBook Pro is available with a 2.3 GHz quad-core Intel Core i7 processor with Turbo Boost speeds up to 3.3 GHz, 8GB of memory and 256GB of flash storage starting at $2,199 (US); and with a 2.6 GHz quad-core Intel Core i7 processor with Turbo Boost speeds up to 3.6 GHz, 8GB of memory and 512GB of flash storage starting at $2,799 (US). Configure-to-order options include faster quad-core processors up to 2.7 GHz, up to 16GB of memory and flash storage up to 768GB.